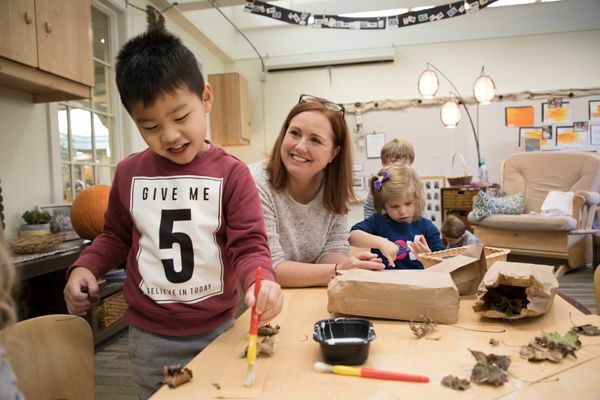 At Hawken, we are committed to providing convenient before and after school services that meet the needs of busy families while enriching our students' lives. Before and after school care as well as a variety of enrichment activities are offered for Hawken students in grades PS-6. Early Care provides children with the opportunity to arrive at school early, enjoy well supervised care, and have a peaceful transition to the academic day. Quiet games, books, and simple art projects are available for children during this time. After Care provides well supervised, fun, and developmentally appropriate care for children after school. Children are divided into two groups, PS-K and grades 1-5. Each day children enjoy a snack before engaging in outside play, games, art, or supervised academic work. For children in grades 4-5 there is a mandatory 30-minute supervised homework session, during which students can seek adult support. 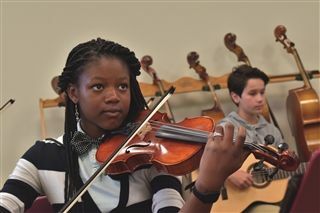 Private music lessons are available to students in kindergarten through eighth grade. Lesson can be arranged directly with the music teacher. For names and contact information of teachers please contact Mark Nestor at mnest@hawken. edu. Lessons take place outside the academic day and are offered as an enrichment opportunity, not part of the Hawken Music Department’s program. Hawken's Passport Program provides after school enrichment and athletic opportunities for students in kindergarten through 6th grade. A diverse offering of quality classes are held on campus for the convenience of busy families. Fees vary based on the class. All classes begin at 3:15 after enjoying a small snack in the dining room, and last 45 minutes to an hour. There are four 6 to 8-week sessions during the school year. Families are emailed a list of classes and registration instructions about two weeks prior to each session. In the event a class is full (registration is handled on a first come first serve) or a class does not run due to low registration, families will be notified.